1. I got all my shots for that sprint pulled up into rough polish. 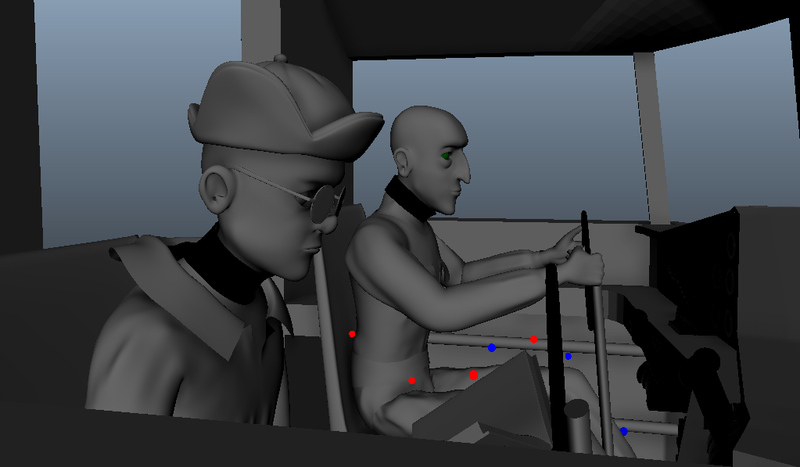 This means that they have facial animation and they are ready for first renders. The shots of mine that are ready are IT 100, 110, 120, 160, 210, 230, 250, 260, 270, and 290. 2. I added to the length of several shots to fit into the final cut of the animation. This shouldn’t be needed again for these shots as the timing has been locked. 3. I began working on the next sprint’s animations. My focus has been on IA010, but the shot still need a lot of work. Splining the bodies of Dyer and Danforth for IA010, IA020, and IA030 to rough polish.